Turmeric is an ancient spice, a native of South East Asia, used from antiquity as dye and a condiment. It is cultivated primarily in Bengal, China, Taiwan, Sri Lanka, Java. Peru. Australia and the West Indies. It is still used in rituals of the Hindu religion, and as a dye for holy robes, being natural, unsynthesized and cheap. Turmeric is in fact one of the cheapest spices. Although as a dye it is used similarly to saffron, the culinary uses of the two spices should not be confused and should never replace saffron in food dishes. Its use dates back nearly 4000 years, to the Vedic culture in India where it was used as a culinary spice and had some religious significance. 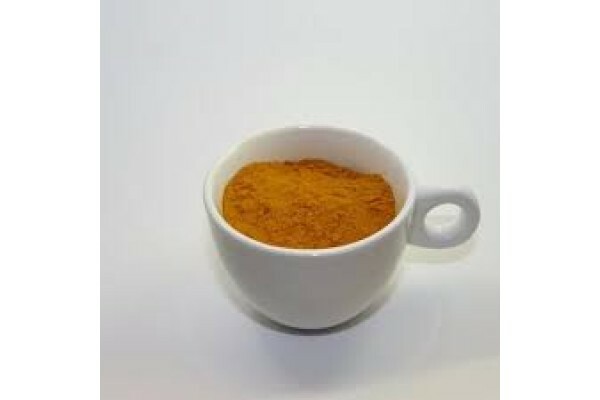 The name derives from the Latin terra merita “meritorious earth” referring to the colour of ground turmeric which resembles a mineral pigment. In many languages turmeric is simply named as “yellow root”.